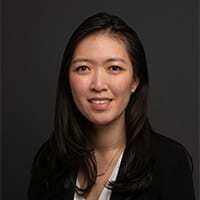 Anqi (Angie) Chen is the assistant director of savings research at the Center for Retirement Research at Boston College. Her research interests include household finance, demographic changes, labor market outcomes, and social insurance. Her aim is to understand public and private solutions to help improve how households accumulate and manage their savings with the goal of achieving financial security. Previously, Angie was a portfolio analyst at BofI Federal Bank building models to test and identify risks in their real estate portfolios. She holds a B.A. (Honors with Distinction) in economics with a minor in political science from the University of California, San Diego, as well as a M.Sc. in applied economics from Boston College. She is a recipient of the 2018 CFA Women’s Scholarship. Angie is currently working towards a M.B.A. from the Carroll School of Management at Boston College.